"The benefits of never giving up are hard-won but worth it!" A mum of two and past entrant in Ninja Warrior Australia, Tash is a true superwoman. As a result, she especially enjoys training mothers, by helping them get back in shape after having kids. 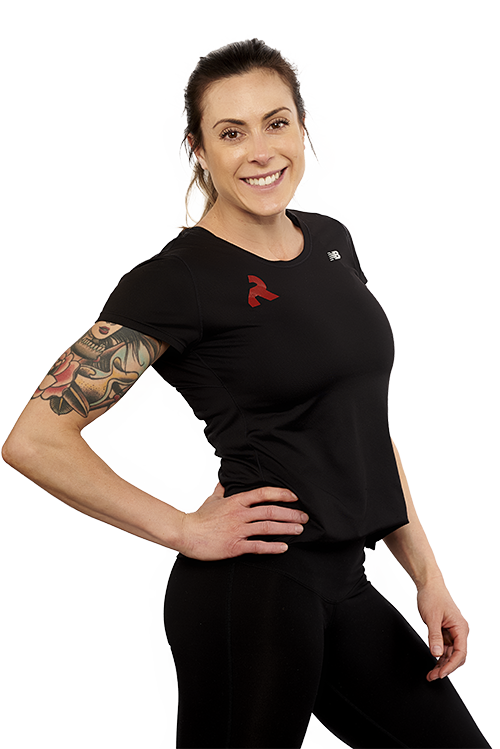 Coming from a sporting background, her training style focuses on strength, conditioning and mobility to prevent injuries. Tash recognises that all her clients are at different stages in their lives, and advises those interested in kickstarting their fitness journey to not compare themselves to others. While it can seem hard or even impossible to reach goals initially, she likes to remind her clients that everyone is a beginner at some point, and the benefits of never giving up are hard-won but worth it! Tash's other interests include playing touch football, cooking, fishing and spending time with her kids. What is your go to karaoke jam?